Plants need nutrients, air, water, and light with a little warmth to survive. Traditionally these have been provided by soil, but hydroponic techniques allow plants not only to survive but also to thrive by gaining the perfect balance of nutrients from a regulated solution. This book looks at the flood and drain method, drip feed, Nutrient Film Technique, aeroponics, and aquaponics. 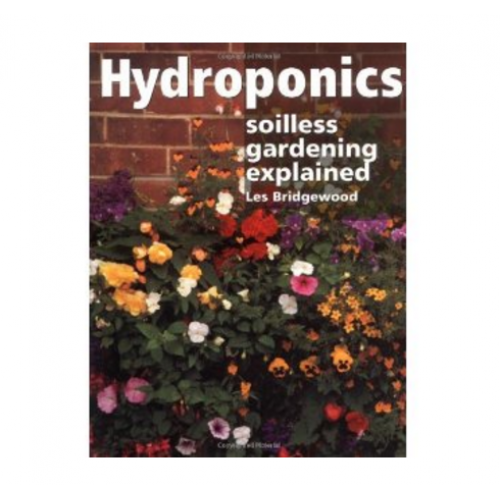 It offers a detailed examination of nutrient content and the strength of solution, advice on how to grow a variety of plants and how to control pests, a simple-to-follow guide to how to arrange and automate a greenhouse, and step-by-step instruction on how to build your own hydroponic systems. Without the need for stooping or weeding, hydroponics is ideal for anyone with back problems or mobility impairment, and superb for children, who can follow and monitor the plants\' growth.